A mystical philosophy based on Buddhist and Hindu doctrine. Theo and sophia are the Greek words for "God" and "wisdom." Read more about theosophy on Wikipedia. A channel is a person through which a New Age master speaks to humankind, such as Benjamin Creme, who claims to be a channel for Maitreya. Master Hilarion who claims to have been St. Paul in a previous incarnation. According to New Age insiders, he maintains a Cretan body and spends much of his time in Egypt. Master Morya, a Rujput Prince residing in Shigatse who occupied Akbar’s body in a previous incarnation. Master Koot Hoomi Lal Singh who is of Kashmiri origin and was supposedly Pythagoras in one of his previous incarnations. He also resides at Shigatse. Master Jesus, whose previous incarnations include Joshua, son of Nun and Jesus of Nazareth, lives in disguise somewhere in the Holy Land. According to New Age theology, ‘The Master Jesus” did not act on his own behalf when he resided on earth as Jesus of Nazareth, but was then overshadowed by the Maitreya. The Venetian Master who claims to have been the reincarnation of the painter Paul Veronese. Master Mahachohan, whose work is to gauge correctly—and counteract if necessary—the conflicting forces in space. Master Serapis who is known for his work with Deva Evolution, and his dwelling place may not be revealed. Summary: A combination of Buddhist and Hindu mysticism, theosophy has been spread through women such as Blavatsky and Bailey, both of whom were directly influenced by New Age masters. This article is part of a series. We recommend that you first read: The New Age Movement. modern theosophy movement was spread largely through the efforts of Helen Petrovna Blavatsky, who stayed with Ascended Master Koot Hoomi, and was instrumental in introducing the ancient occult ideas into Western civilization. 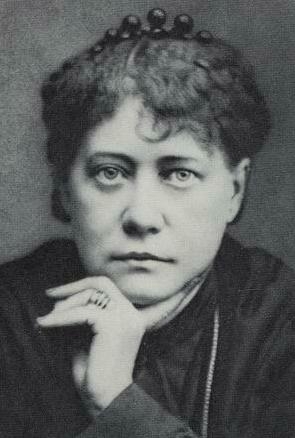 Blavatsky’s book The Secret Doctrine contains much channeled material, and reiterates the twin lies of Eden. Another key leader of the modern New Age movement was undoubtedly Alice A. Bailey (1880-1949) who received messages from the Tibetan Master Djwhal Khul (commonly known as D. K.). D. K. was a pupil of Koot Hoomi. Bailey's famous writings include Problems of Humanity and The Reappearance of Christ. These writings were to prepare the world for a one-world government, one world religion, and universal acceptance of the false Christ—Satan masquerading as an angel of light. The essence of his message was that the New Age mystic ideas camouflaged by the outer symbols of amulets—as well as such New Age concepts as astrology, numerology, card reading, palmistry, pyramid power, natural healing, and eco-consciousness—should eventually infiltrate all religions. Fueled by the acceptance of the twin lies of immortality and innate godliness, the false Christ would lead the world in a millennium of peace. D. K. also said that secret societies such as the Freemasons and the Illuminati would infiltrate the economies of the world, and prepare the great religious movements for unification, with acceptance of the bishop of Rome as the supreme religious ruler of the 20th century. Information as to how this should be achieved would be channeled by the Ascended Masters through selected individuals who would keep governments informed and allow for the planning of strategies. i. Statement by D.K., Prophecies by D.K. (August, 1934).